Sir Roger Penrose: An Alternate Theory of the Big Bang? According to the most widely-accepted theory of origins, at some point, roughly 14 billion years ago, everything that is, was, and will ever be, was tightly packed into a small, but infinitely dense point—a singularity. This ‘point’ eventually exploded, which ultimately hurdled everything we see into existence (of course, we’re condensing here). However, to many physicists, 13.7 billion years just isn’t enough time for highly complex structures—like superclusters—to form. 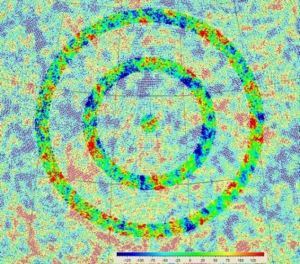 One particular physicist from the University of Oxford not only believes that the big bang model leaves a lot to be desired, but that he can prove it. In fact, drawing from the only evidence left behind after the big bang—the cosmic microwave background radiation, which was thrust into existence when the universe was just 300,000 years old—the big bang wasn’t the beginning but instead, it was only one in a series of cyclical big bangs, or “aeons.’ Each of which, spawned a new chapter in the universe’s history. The First or the Only? In the simplest possible terms, Sir Roger Penrose believes that our universe is not the first, nor will it be the last, to spawn from a dense mass of highly-ordered-everything, into the complex universe we see around us. 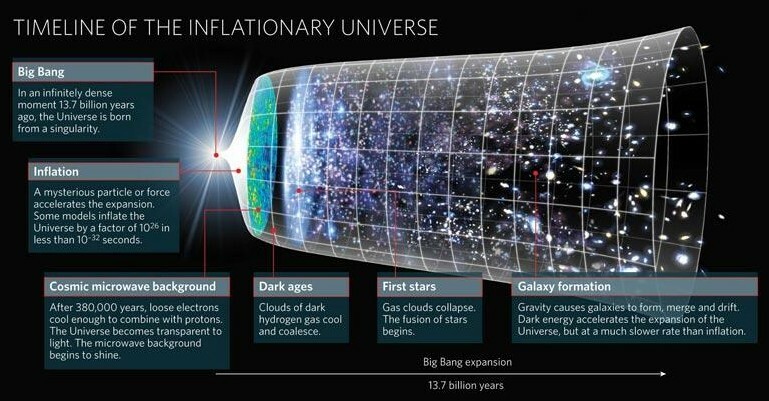 The current big bang model, which is partially grounded in inflation, doesn’t supply a reason as to why a low entropy, highly ordered state existed at the birth of our universe. 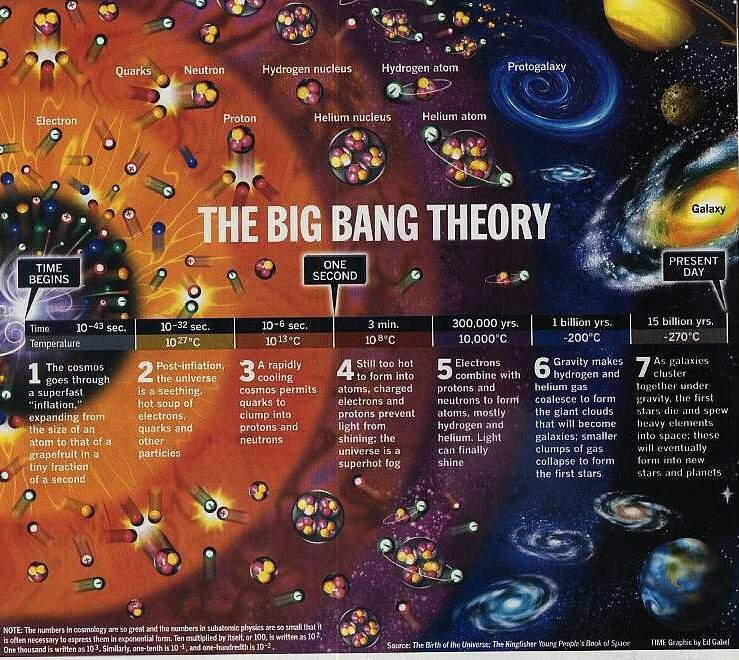 That is, UNLESS things were set in motion long before the big bang actually occurred. In Penrose’s theory, our universe has, and will again, return to a state of low entropy as it approaches its final days of expanding into eventual nothingness, leaving behind a cold, dark, featureless, abyss. 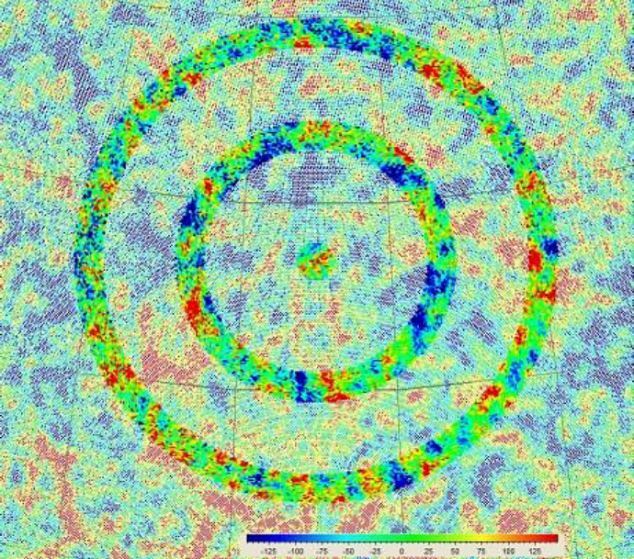 The current model of the universe says that any temperature variations in the CMB should be random (or Gaussian), but Penrose claims that he, and his partner Vahe Gurzadyan, who hails from the Yerevan Physics Institute in Armenia, have found more than 12 very clear concentric circles within the data, which was collected by NASA’s WMAP satellite over the course of a seven year period, where there are regions where the radiation have a much smaller temperature range. To him, these posits are spherical evidence of the gravitational waves, massive ripples in spacetime that are created through the collision of massive black holes, which took place during the previous aeon. Of course, if his hypothesis, which has been dubbed ‘conformal cyclic cosmology,’ were validated, it would suggest that the current state of our universe is merely one of perhaps an infinite number of aeons, which also mean there is no need for a precursor for the big bang. “I claim that this aeon is one of a succession of such things, where the remote future of the previous aeons somehow becomes the Big Bang of our aeon.” Penrose said. Of course, his conclusion has been criticized amongst other physicists, but it’s still an interesting hypothesis, with vast implications (if true). What Earth Objects are Visible from Space? Could the Star Trek Wormhole Really Exist?